Tonight’s mosaic looks similar to yesterday’s because I decided it would be fun to use the same colors for the mosaic and then grout them with different colors. 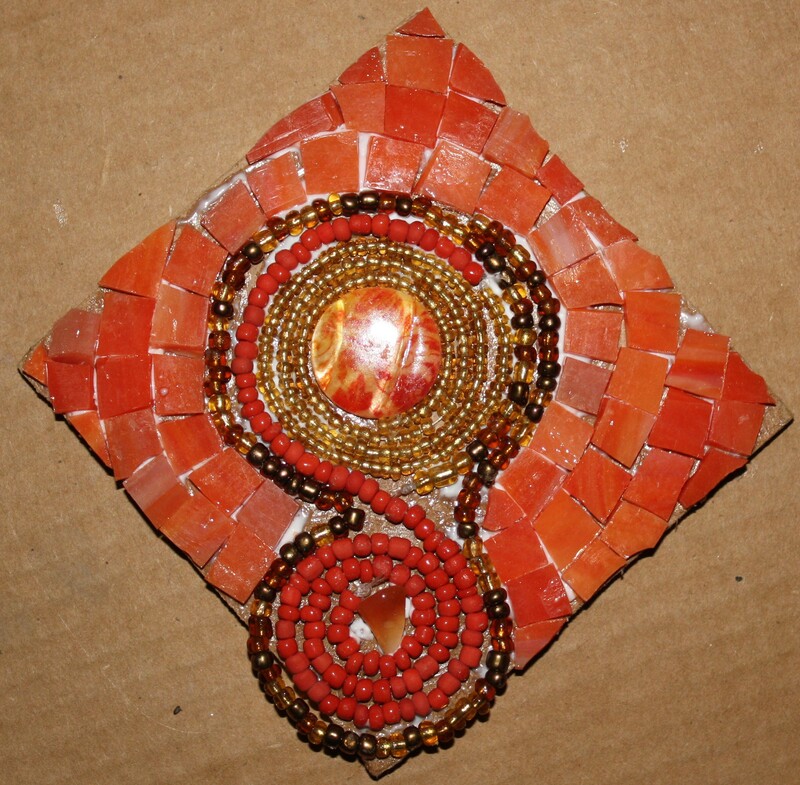 I want to demonstrate how the grout color affects the look of the mosaic. I love this one – it’s so joyful and beautiful!